Rainy day will not stop the wedding party from having some fun. Adding the umbrellas turns around this normal wedding party photo into a unique moment. 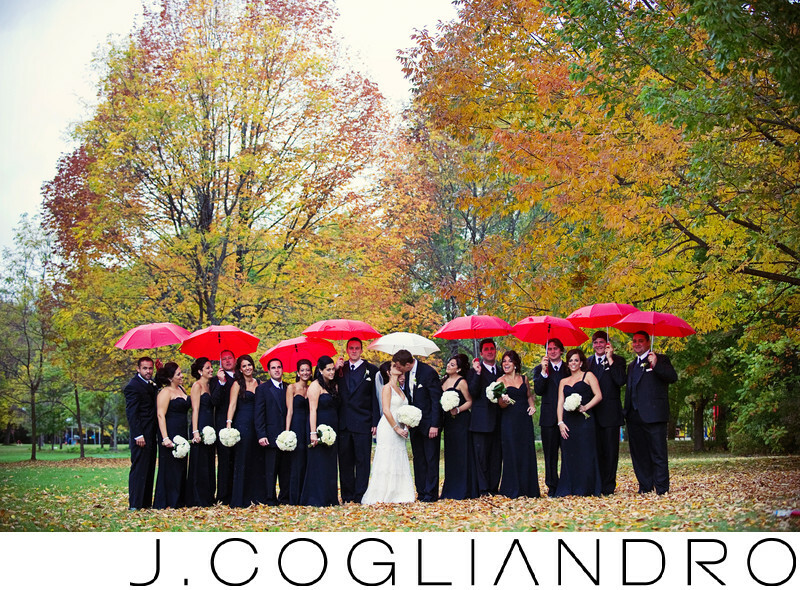 Love how the white umbrella brings you to the center of the photo to the couple kissing in this beautiful fall field. Love the colors of the fall leaves in upper New York.